The design process for the renovation of Rotterdam’s contemporary art centre took more than five years. Although the actual renovation of the former girls school on Rotterdam’s cultural kilometer was a matter of weeks, the process involved many stakeholders. The project can be conceived as an urban project rather than a pure architectonic one. Before the renovation of both institutions, housed in the municipal monument, they had no presence towards the street. In the end of the nineties the Witte de With straat gradually improved from a drug abuse area to the place to be. Not by itself, but by consistent municipal policy. While the diversity of functions along the street diversified and facades opened up with terraces in front, the Centre for Contemporary art stayed hidden, like a bastion, behind the high, closed walls of the building’s plinth. 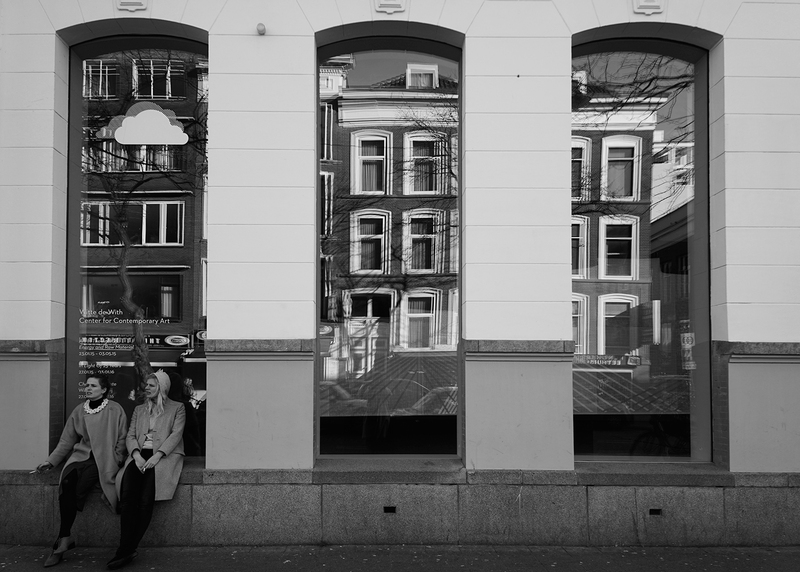 In 2008 the board of Witte de With decided to initiate a design process to see what could be possible to better integrate both art institutions and how to establish a new link to the public that was ‘on the street’ now, as the Witte de With straat ever more became the hotspot of cultural and hipster Rotterdam. Various design studies were made including a huge contemporary art space on top of the building with a livingroom sized elevator connecting a café on the ground floor to the loftspace on top with stunning views over Rotterdam. This was too ambitious and with limited budgets not an option. The complexity of the process did not only relate to the many institutional realities within the art complex and the interlinked municipal programs, also the status of the former girls school as a monument added to the complexity. 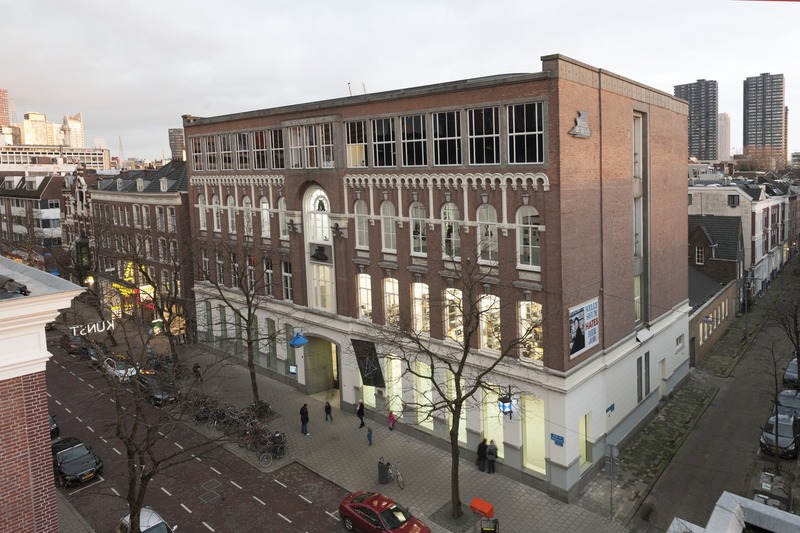 Finally in 2013 a breakthrough in the process led to a modest but effective intervention, opening up the facade to the Witte de Withstreet and renovating interior spaces and facilities. 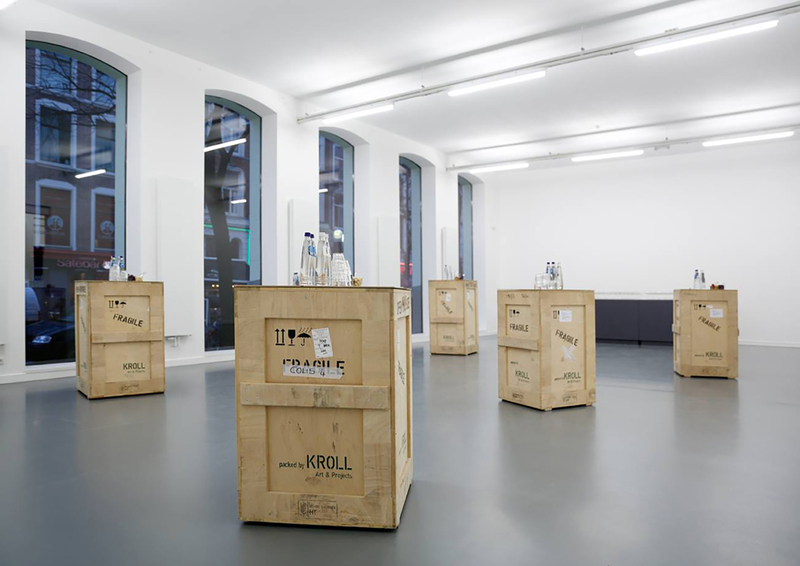 Current exhibitions make use now of the new visibility towards the Witte de Withstreet as showcases of the exhibitions that run on all floors of the contemporary art centre. Visitor numbers increased and no longer there is a ‘blind wall’ in the middle of the Witte de With straat. A discussion on the ‘modesty’ of the intervention versus the radical ideas in the beginning of the process is valid especially in te light of a function like a contemporary art centre, the renewed linkage to the Witte de Withstraat is an improvement for as well the centre as for the street. Who knows what might happen in the future..